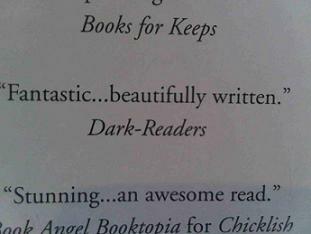 Dark Readers Quote made The books final copy that is released in the UK October 1st 2011. 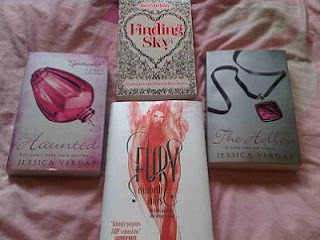 I cannot wait to have this book in my hands. OH how nice! You got your own blurb! Congrats! Loved all the books you got! you got a very nice mailbox and wow! 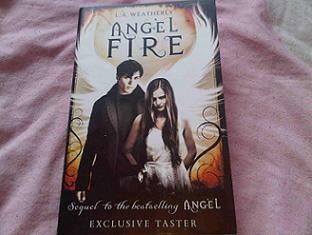 so lucky to get in the copy of Angel Fire!